Home > Photo Editing Tips > How to Turn Photos into Cartoons and Anime Drawings? Capturing life’s moments and sharing them with others is a form of life these days specifically. Knowing the fact that today’s smartphones bear some cool and awesome camera, people tend to capture moments of their everyday life and make it entertaining to share with others on various social media platforms. With millions of Android apps out there, customizing images has become very easy these days. There are a lot of apps with various skills to transform our photos into a great form of art, for example, to turn your pictures into anime drawings. Among various types, photo to cartoon apps for Android are very trendy nowadays. 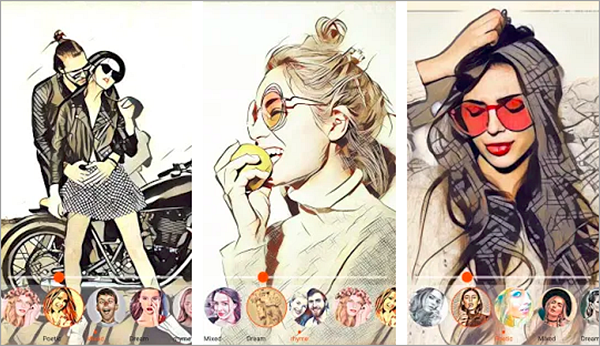 These apps turn your normal photo into cartoon and make it much cooler and interesting, something which makes you brag for or just makes you a social star. There are a lot of such apps available at the Play Store that do this job in no time. Well, honestly these type apps make your everyday boring life interesting and change the way that you click your everyday photos. 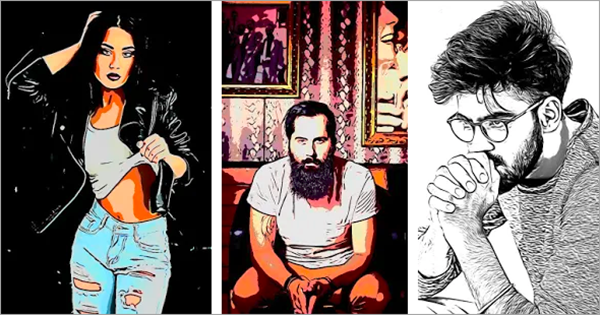 To help you take a break from your boring life and to add some spice to your way of clicking photos, we in this article help you to turn yourself into cartoon which will make you look cooler and funnier. To make your own cartoon is just very easy, all you have to do is to have a clear image of your face and show a bit of your creativity. And if in your photos, there is any unwanted objects that you want to remove before cartoon yourself, then Jihosoft Photo Eraser is the ideal tool which you can use to remove unwanted persons, watermarks, texts, shadows and even face blemishes from the photos. Now, we will enlist the best 5 photos to cartoon apps for Android that help you turn photos into anime drawings. MomentCam is an Android photo to cartoon app that allows you to create your funny Cartoons and Emoticons from your gallery photos or by clicking a new one. You just choose between Comics and Emoticons, then select a photo from your gallery or take a new photo with your phone camera and start creating your cartoon readily. Select your gender, age group and the app automatically generates your cartoon which you can further customize everything in it like your hair, beard, and etc. Backgrounds get updated daily on every occasion, region, cultural and pop reference, which encourages users to use the app repeatedly. Also, you can embed your cartoon in mousepads, keychains and other items and get it shipped to so that you can rag about it or even gift someone’s cartoonish item on his or her birthday, etc. Open the MomentCam and use the Caricatures to initiate the entry of your face. Use your smartphone’s camera to take a snap of your face. You have to further mention your gender and age group so that the app can generate better results for your caricature. Then customize the look of your caricature or if you do not like it then you can again register your face. After customizing the hair, face and other things in the app, your final cartoonish face gets generated which can use anywhere. Once your caricature has been done then you can use it as emotions to share it with your friends and have some real fun during chatting sessions. Just try making newer caricatures over the time with more new types of caricatures that gets updated every day. If you are looking to make your photos look cartoonish and want an essence of artistic touch, then Cartoon Photo Filters app might be the best one out there. Editing on this is a truly fun, you can show your creativity with Photo Filters, Photo Editor Pro, Glamour Selfie Camera app & the obvious Cartoon Camera to repaint your pic into a true artistic picture! The image cartoonizer app helps you to add awesome cartoon animation filters and even art blending filters along with cartoon & sketch Art effects. You can even add some amazing filters to any ordinary picture or turn it cartoonish with the app and instantly share with others on Instagram, Facebook, Twitter, Tumblr at a time! Photo Cartoon Camera is a great all in one solution for both cartoon photo editor and Android drawing app. Using the app you can create pop art photo, art pics, pencil sketch photo, photo of art painting style, photo of cartoon film style, perfect snap selfie picture and a lot more including the option to create a collage of your creativity. 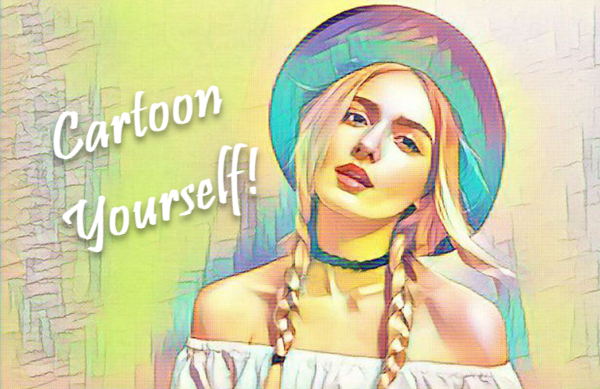 This photo to cartoon app has a huge library of the filter including Pop Art Filter, modern art filters, animated film filters, cartoon filters, beauty selfie filters, various beauty selfie filters, etc. All of the filters are unique and amazing. So, use this all-in-one app to turn your photos into great cartoon works of art pics. This is another well-known free Android cartoon editor that is very simple and easy to use. With Cartoon Photo Editor, you can apply cool and artistic effects to new captured photos or existing images. 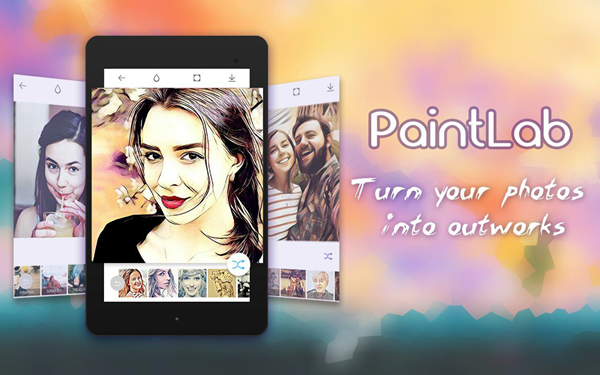 The app lets you transform your photos to cartoons, sketches, oil paintings, pencil drawings and much more. With this app, you can take photos and apply live filters to see how it looks and the app also has autofocus feature for you to capture the right shot. 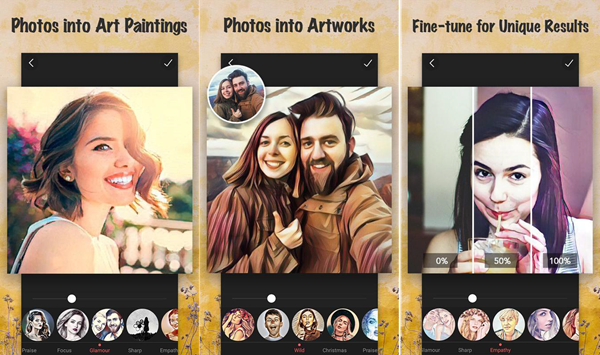 As the name suggests, much like other apps, this is a cartoon yourself app equipped with numerous art filters to edit pictures and eventually turn your pictures into artistic cartoon paintings. With this photo to cartoon app, you can customize the cartoon effect, create some awesome artwork and art photo by yourself effortlessly. Hence, there were some of the best photos to cartoon apps that rightfully helps to turn yourself into cartoon and turn the picture into anime drawing. All of them are free to download and are available at the Play Store for you to download. You can use each of them and find the best one according to your need. So, having known how to turn your photos to cartoon, make your life much more interesting and frame your images in a unique way to make each of them special.